There may be those among you who feel that animation cannot be art. You may regard yourselves as purists, and feel morally and aesthetically superior. Hopefully, you will enjoy that - over there, in the corner, where you won't bother anyone else. For the rest of you who have open minds and are willing to explore the possibilities of a medium, you may be extremely interested to know that one of the most famous pieces of (secret!) animation software has just been released to the public. The software, which has been used to create the hit comedy series Futurama as well as almost all of the anime hits produced by Studio Ghibli such as Princess Mononoke, Ponyo and Howl's Moving Castle, is somewhat unfortunately named 'Toonz'. It has been released as an open source package, which means that the code for the entire piece of software is visible and editable by anyone with the skills to do so, and will be entirely free forever. The new free version is named OpenToonz, displaying the open source community's unfortunate lack of nomenclature creativity, despite their incredible technical creativity. The version is subtitled the 'Ghibli Edition', because of the numerous improvements and adjustments that were made by the Studio Ghibli animators and programmers over the years since they purchased the original software from Italian developers Digital Video. According to Claudio Mattei, “This deal will be also the starting point of a new exciting plan to endorse the open source business model, by supporting training and customizing Toonz for the old and new users.” Digital Video, the original developers, hope to make money off the need for training, support and installation services in a market that will develop thanks to the increasingly widespread adoption of the software worldwide. Hopefully, this is exciting news for any of you who are interested in motion graphics, film and animation! Despite the move to the internet, animation and video is hotter than ever and this software combined with new media delivery platforms like YouTube and Vimeo offer a whole new method for artists and animators to get their work in front of the general public. OpenToonz should revolutionize the whole animation world, and here's hoping that it inspires you to create something truly beautiful! Getting your artwork online and presented in the best possible way can be quite a challenge. Once you've created your masterpieces, and you've taken your digital photos using a colour-calibrated workflow (check out our recent posts on those topics if you missed them), you're going to need a good quality image editor to finish off your images. No, MS Paint doesn't count, but fortunately there are a ton of other great editors out there. In many cases, your digital camera will come with some sort of image editing software. While those options are usually more or less acceptable (Capture NX from Nikon or PIcture Style from Canon, for example), they often leave something to be desired. If you're lucky, your camera may come bundled with more professional and well-designed software like Lightroom, but not everyone is so lucky. For those of you with the budget and the desire for serious image editing power, Adobe Photoshop is the gold standard for any kind of computer image work, but it comes with a gold standard price tag that can be off-putting to many people who won't end up using the full range of its capabilities. Adobe Lightroom is a cheaper alternative that still packs some editing punch, but it's designed more for photographers who work with large numbers of images on a regular basis. Adobe Photoshop Elements, the stripped down version of Photoshop designed for more casual users is also an excellent choice, but if you're a starving artist like many of us, you'll want to check out the free options we've found before you start deciding between Photoshop and paying the rent. 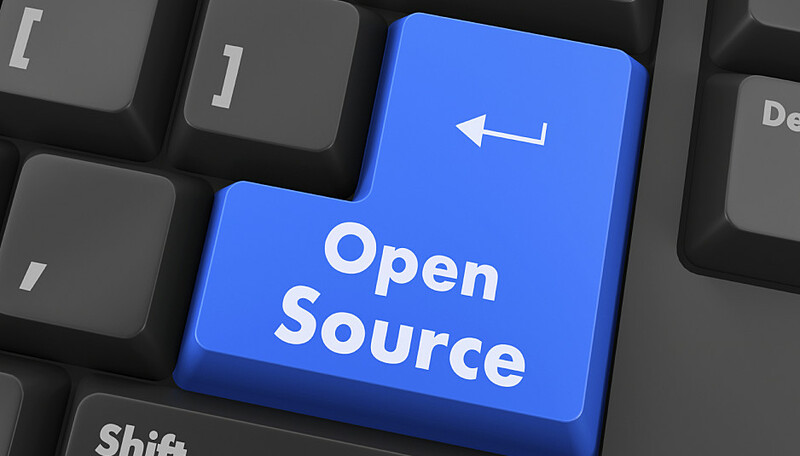 The open source community has long been pushing its competitor to Photoshop, the relatively unfortunately-named GIMP (General Image Manipulation Program). It's completely free to download, and it offers almost all of the functionality of Photoshop, but it leaves a great deal to be desired in terms of ease of use. The latest version is much better than previous iterations, but the user interface and help system are decidedly lacking when compared to any of the Adobe products mentioned above. If that's not your style, there's a new kid on the block, which takes a unique approach to the problem - you don't have to download any software at all, because it works entirely within your web browser - and it's also free. Dubbed 'Pixlr', you simply upload the photos you want to work on and then you can use a set of functions relatively similar to Photoshop Elements that should provide most of the image editing tools you'll need. The downside, of course, is that you have to be always on the web to work, which isn't an option for some of us.